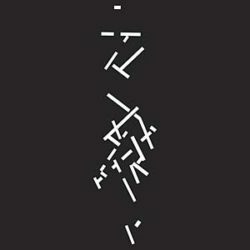 Selected Early Keyboard Works is the first in a series of planned archival records of the unheard music of Swedish composer, philosopher, poet, mathematician, and visual artist Catherine Christer Hennix, co-released by Blank Forms Editions and Empty Editions. It comes hot-on-the-heels of Traversée Du Fantasme at the Stedelijk in Amsterdam, Hennix’s first solo museum exhibition in over 40 years, and coincides with both Blank Forms’ publication of Poësy Matters and Other Matters, a two-volume collection of her writing, and the closing of Thresholds of Perception, a retrospective archival show of Hennix’s visual work at The Empty Gallery in Hong Kong. The record also marks the first time Hennix’s own music has been given a full-length vinyl issue. In 1976, Catherine Christer Hennix’s just intonation live-electronic ensemble The Deontic Miracle performed Hennix’s original compositions, alongside works by La Monte Young, Terry Riley, and Terry Jennings, as part of Brouwer’s Lattice at the Moderna Museet in Stockholm. Culled from rehearsal tapes recorded during the ten-day Dream Music Festival, Selected Early Keyboard Works features three pieces of minimal music, performed by Hennix on tunable electric keyboards. “Mode Nouvelle Des Modalités”, for well-tuned just intonation Fender Rhodes and sine wave drone, is a consummate expression of Hennix’s formative years, a probing meditation giving the mercurial quality of early electronic music an instrumental life replete with the dexterity of Cecil Taylor and shades of Paul Bley’s synthesized reveries. “Equal Temperament Fender Mix”, performed on the same Rhodes but in twelve-tone equal temperament tuning, employs a tape delay system not unlike that used famously by Terry Riley, here towards more somber, hallucinatory means. Hennix is joined by Hans Isgren for the collection’s centerpiece, “The Well-Tuned Marimba”, for well-tuned Yamaha, sheng, sine wave, and live electronics. Using the same approach and just intonation keyboard featured on Hennix’s The Electric Harpsichord (2010), but with marimba in place of harpsichord stops, the piece is an undulating marvel of lysergic drone, equally deserving of its companion’s status as “THE obscure masterpiece of the days of the early American minimalism”. Now accessible for the first time, these recordings only begin to fill gaps of silence from a figure whose work has until recently remained flickering at the margins of some of the most enduring cultural developments of the 20th century. Tape transfer and master cut by Andreas (Lupo) Lubich. Audio restoration and mastering by Stephan Mathieu.